We equip our valves with pneumatic part-turn actuators of the FERGO DA (double acting) series and FERGO SR (single return) series. 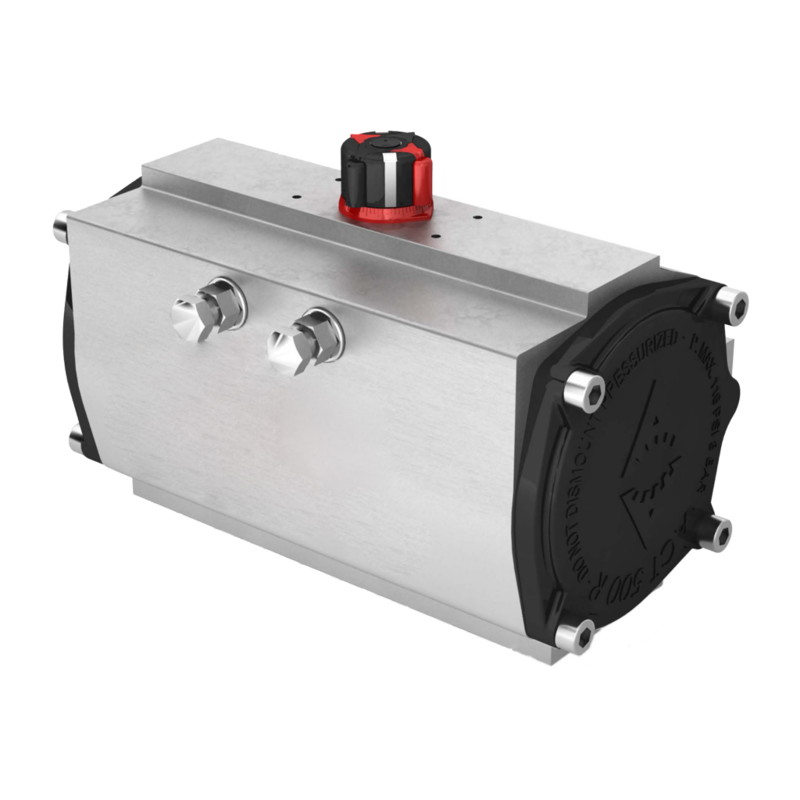 Our actuators are suitable for every application: Due to the optional piston ring made of silicone, these actuators can be applied at temperatures up to minus forty degrees celsius. 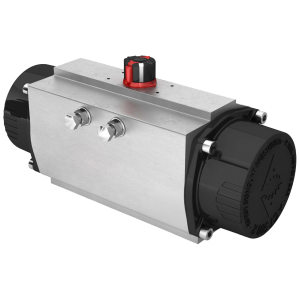 By default, our valves and actuators are designed for 5 to 6 bar compressed air supply. We also offer actuators which are designed for a lower compressed air supply. Our sales department will calculate a suitable actuator for you. Naturally you get a wide selection of pneumatic equipment at FERGO Armaturen GmbH: solenoid valves, exhaust boxes, throttle plates, compressed air filters and much more. Challenge us! We quickly work out flexible solutions customised to your special demand.